﻿ 3 Things A Chocolate Lover Must Know - I AM Co. There is something pretty magical about chocolate…the taste, the melting on the tongue and the lovely euphoric feeling it can leave you with after indulging in a square or two. Chocolate is a very personal taste and not one chocolate will satisfy every individual’s preferences and desires. Some love the super sweet milky chocolate and others prefer rich bitter flavours. Unfortunately the chocolate trade is one to be aware of; the locations in which the humble cocoa beans are grown are susceptible to child labour, the use of GMOs and mass deforestation (due to the use of the nasty palm oil). As chocolate lovers, we thought it would be important to share the fact that not all chocolate is created equal, so here are 3 key factors to be aware of when choosing your chocolate! Cacao powder is commonly known as a ‘superfood’ and usually comes in a powder form. Raw cacao is made by cold pressing the unroasted beans and breaking them down into a powder by removing the oils (cacao butter). It is the raw and unprocessed powder that holds all the nutrients and is best when sun dried or dehydrated – not heated over 47 degrees Celsius. Unfortunately regular milk chocolate is made with roasted cocoa beans – these beans have been heated to high temperatures, processed and then ground, giving them a different, more subtle flavour and unfortunately losing many of the brilliant enzymes, minerals and nutrients that are packed into the whole raw bean. Is there anything wrong with cocoa? Absolutely not, but if you’re looking to boost your nutrient intake, chocolate made with raw cacao powder would be the way to go. Find out how to make your own raw chocolate here. Have you ever thought about where your chocolate bar began? Cocoa grows across the world in various different continents. Africa is the leading producer, followed by Central and South America and Indonesia. In each place, a different variety of bean is grown and this can affect not only the taste but the way it is cultivated and processed. Choosing fair trade is of great importance as there are a couple of major concerns associated with cocoa growers. Firstly the use of child labour, which is most prominent in Africa. Secondly the exposure of toxic chemicals and pesticides to the growers and workers. By choosing certified fair trade and organic chocolate you are eliminating these problems and can rest easy knowing you haven’t supported these global issues. In NZ we are lucky to have Trade Aid chocolate on hand. 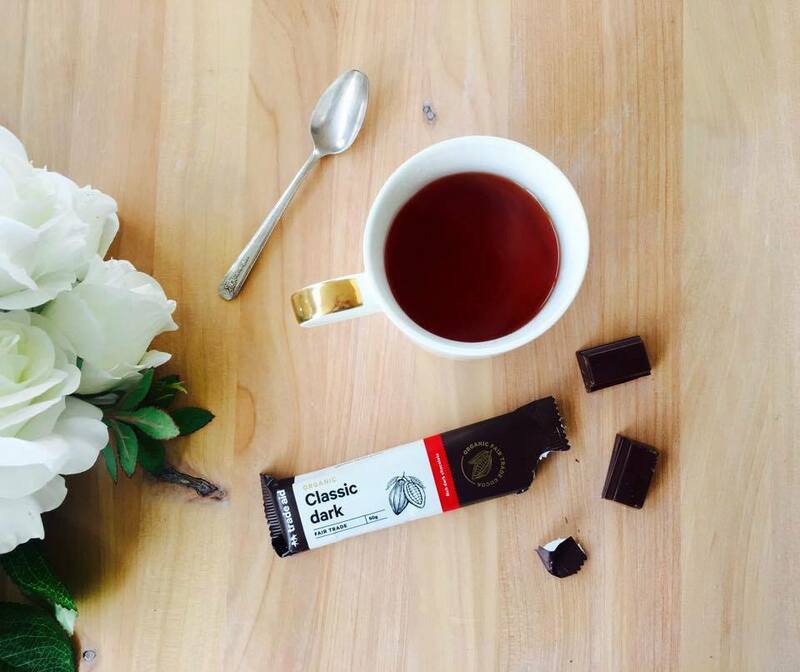 This is one of the world’s first organisations to grow 100% fair trade organic chocolate. Trade Aid primarily source their cocoa from small Caribbean communities and encourage small family farmers and producers to get involved. These farmers do not use toxic sprays and keep the growing process organic and clean. Chocolate is often touted as an unhealthy junk food and indeed the majority of the chocolate on the market is. Most chocolate ‘candy’ bars are filled with refined sugars, full cream milk and hydrogenated fats. So it’s easy to see that it’s not the cocoa itself but rather the nasty ingredients that fill the chocolate bar that determine its lack of health. When choosing which chocolate to buy, it’s best to look for organic sugars and sweeteners, as well as to avoid palm oil and unnecessary dairy products. Choose alternative sweeteners such as stevia, coconut nectar or unrefined maple syrup. 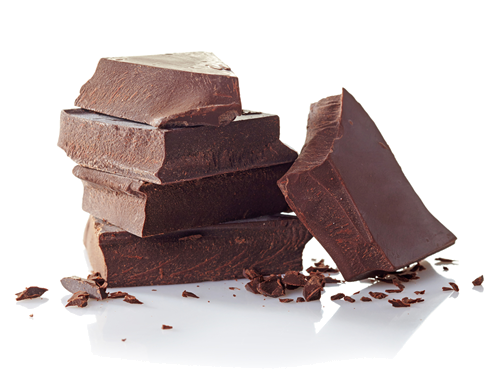 Choose darker chocolate varieties – those with cacao solids of over 70% are the best choice. Always look at the ingredients and be a little picky, it’s much more enjoyable eating chocolate that you can trust! You can read more about Trade Aid and their practices here.